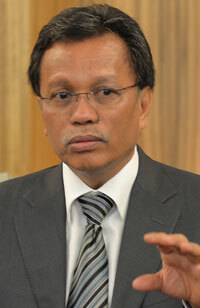 KOTA KINABALU: Sabah Chief Minister Datuk Seri Mohd Shafie Apdal has urged the state Fire and Rescue Department (JBPM) to be fully prepared in light of potential increase in fire risk due to current hot and dry weather spell. He said the preparation would include working closely with the Sabah Water Department and district councils to ensure adequate water supply and water pressure was in good condition. The move was important to enable firefighting operation in the event of fire incident, to be carried out quickly and without any problems such as water shortage or low water pressure, he said. “JBPM must be observant to ensure adequate preparation and due to the dry season that we are experiencing now, it is necessary to be fully prepared. “Sometimes, in certain areas there are low water pressure and in such situation JBPM needs to ensure that they have sufficient water, failing which, they need to contact the nearest water department for assistance,” he told reporters after visiting the location of fire incident in Kampung Pasir Putih in Putatan, and the affected victims who were housed at the Putatan Multipurpose Hall near here today.